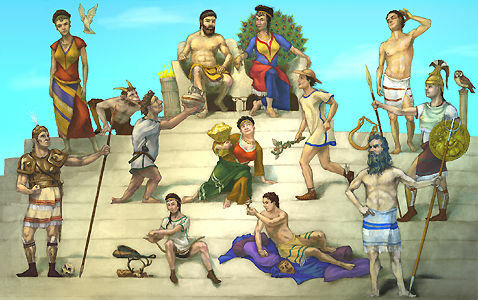 The Olympians are a group of 12 gods who ruled after the overthow of the Titans. All the Olympians are related in some way. They are named after their dwelling place Mount Olympus.